Val’s $10k Month Business Coaching Program has been so valuable in helping me to focus on what is important in the world of business marketing. Her background as a professional animal communicator is inspirational. I’ve been working professionally for 7 years and my business wasn’t growing very much. But now, I have seen my email contact list increase greatly and dramatically with a simple campaign that I developed with Val’s assistance. Val is also extremely encouraging and supportive. I felt so alone and isolated before I joined the Program and often didn’t know what to do or how to do it, I felt so discouraged. The classes, calls and Facebook group are great for connecting with other professional communicators, this is a wonderful community. Seeing what the other members are creating is motivating and also I find myself so excited to see my fellow coaching classmates succeed. 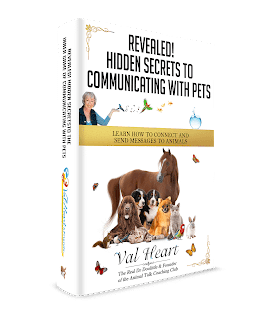 I would highly recommend Val’s program if you are striving to increase (or start) your animal communication business.